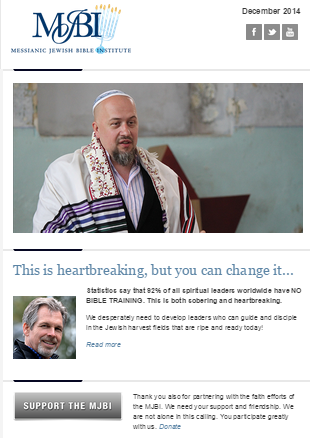 The latest posting from the Messianic Jewish Bible Institute (MJBI) shares a heartbreaking message: 92% of spiritual leaders WORLDWIDE lack bible training. Now who would have guessed that? Judging by the output of most messianic ministries not really surprising. The staggering ignorance has been more than adequately demonstrated by ‘rabbi’ Itzhak Shapira in is exposition on Daniel 7:13-14. The problem is that ‘rabbi’ Itzhak Sapira has received Rabbinical Smicha and training from the International Alliance of Messianic Congregations and Synagogues (IAMCS). Shapira’s teachers at IAMCS appear to have neglected tell him that Daniel is partially written (ch 1-7) in Aramaic, the remainder in Hebrew. Any google rabbi could have told him that!! What an incredible error of translation!!! He translates the Aramaic word “Asei” (see strong’s concordance H858) which means “come”, as if it were the Hebrew word; “Atah” “you”. even more incredible that he repeats the same mistake twice in a video clip. Ignorance of Shapira that chapters 1-7 of Daniel is in Aramaic, the remainder in Hebrew is a small mistake? Quite apart from the book you can see the ignoramus in action below. Now if this is the result after training, what about the 92%? The same 92% who claim that the Jews are blind and do not know their own bible!! What a mess.! This entry was posted in Uncategorized and tagged Daniel 7:13-14, IAMCS, International Alliance of Messianic Congregations and Synagogues, itzhak shapira, kosher pig, Messianic Jewish Bible Institute, MJBI. Bookmark the permalink.